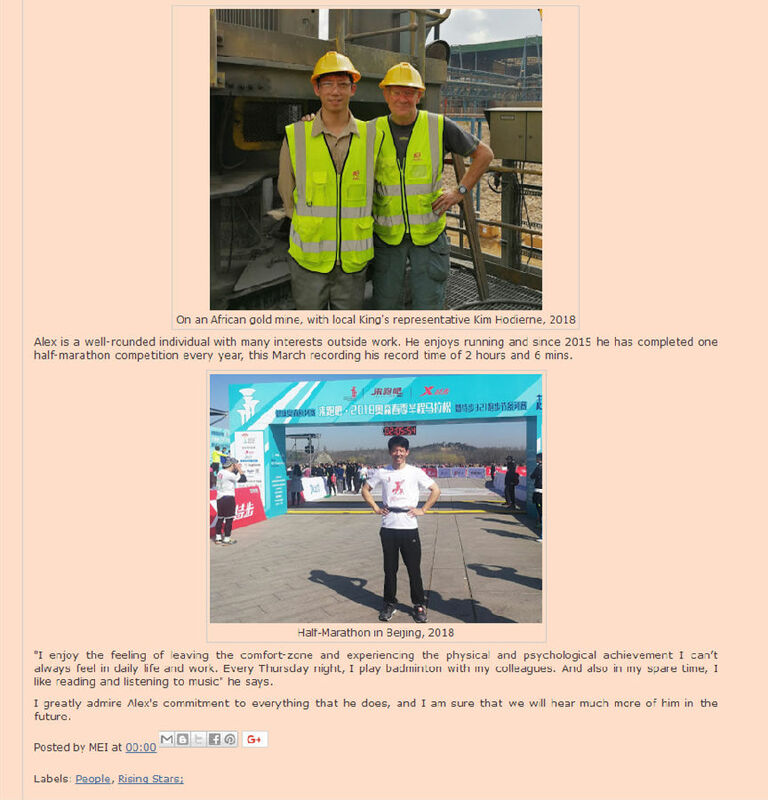 Alex Wang，the division manager of metallic minerals from King's, was recently interviewed by MEI(Mineral Engineering International) committee because of his excellent performance in Comminution Conference. The conference is organized by MEI and is one of the world-famous forum focused in mineral processing. It is held every two years in Cape Town, South Africa. King’s has been sponsoring and exhibiting in Comminution Conference ever since the year 2010. From the year 2014 to 2018, Alex Wang has represented King’s to make speeches on grinding technologies. The interview is published in MEI blog with the title: A rising star: Alex Wang. You are welcomed to have a closer look at it.